When Mayan children value their culture, their roots and their identity, they are able to reconnect to the sacred value of nature and the universe, to feel gratitude, commitment, peace and responsibility, respect for their parents and their grandparents, and a sense of community. 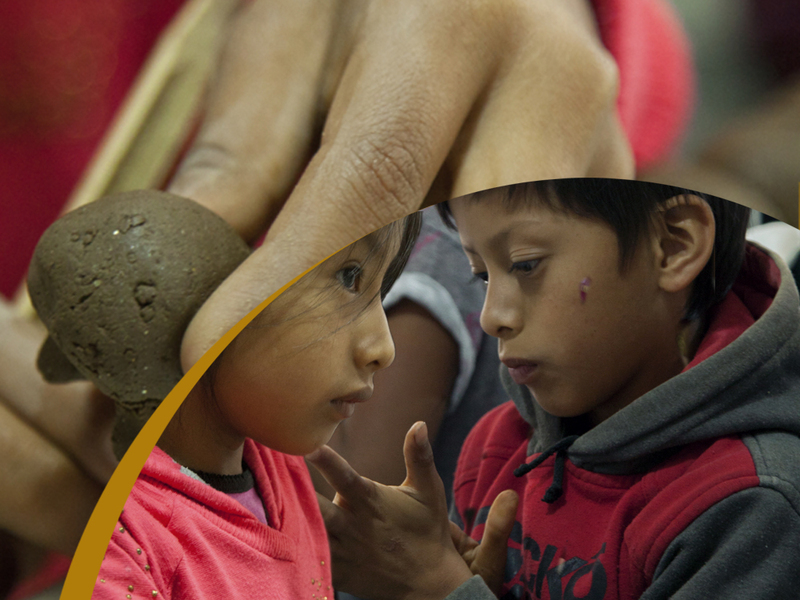 Using these Mayan values, children can also feel able to fulfill their mission in life, to be an agent of change and transformation for their families and communities. This project offers local children workshops in Mayan art, stimulating their creativity and collaborating to strengthen their cultural and cosmogonic identity. Based on the concept of the integral nature of Mayan art, children learn sound art (music), visual art (painting and sculpture), the art of speech (poetry, stories and stories) and the art of movement (dance). Sound art includes Mayan music history, demonstrations of musical instruments and their sounds, decoration of three musical instruments and musical composition. In the movement art workshops, children learn Mayan dance history, but also the Mayan calendar, body movements of 12 animals (nahuales) and choreographic composition. Word art workshops look at the origins and functions of both oral and written Mayan, basic epigraphy, Kaqchikel alphabet, poetry, stories, history and literary composition. Visual art looks at various branches of Mayan visual arts, from painting with dyes natural, making masks, sculpture with clay, to clothing and weaving. Each workshop is structured with both a theoretical and practical aspect: observation and action. This pedagogy is based on the understanding that learning in the Mayan culture is done through perceptions, senses and emotions.